Located in the southern part of the Albanian Riviera lies the coastal city of Saranda/Sarandë. 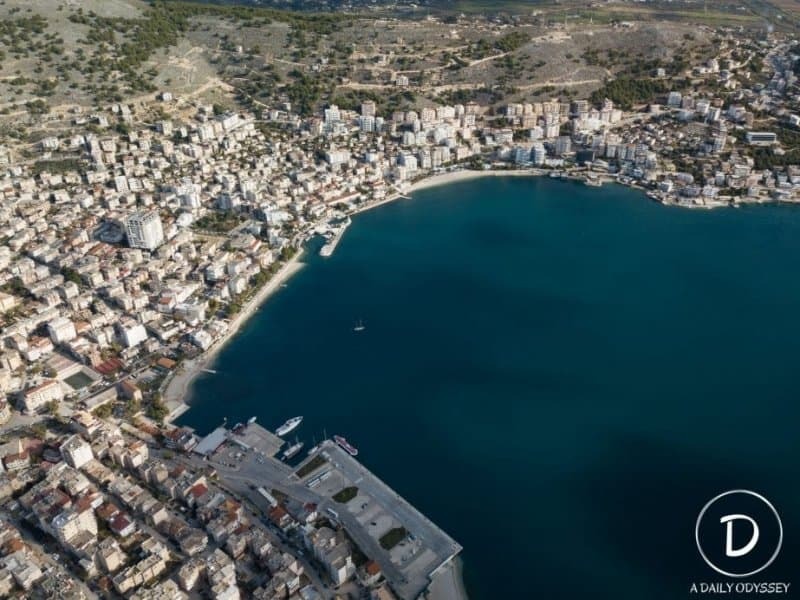 During the summer months Saranda is buzzing with people, in fact, apparently the usual population is around 30,000, but during the summer that figure can spiral up to 300,000. Great restaurants, a beautiful coastline and the perfect base to explore other breath-taking places nearby, is the main reasons tourists flock here during the summer. It’s very affordable so if you’re a backpacker this place is heaven. The crystal clear turquoise water and affordability make this the perfect holiday destination for solo travellers, couples, and families. I have spent most of my time in Albania solely located in Saranda, and I am even renting an apartment and permanently living here. As September rolls around the tourists slowly leave and the population drops, but this shouldn’t stop you from coming here. In fact, Saranda, in my eyes, is a different city during those times. 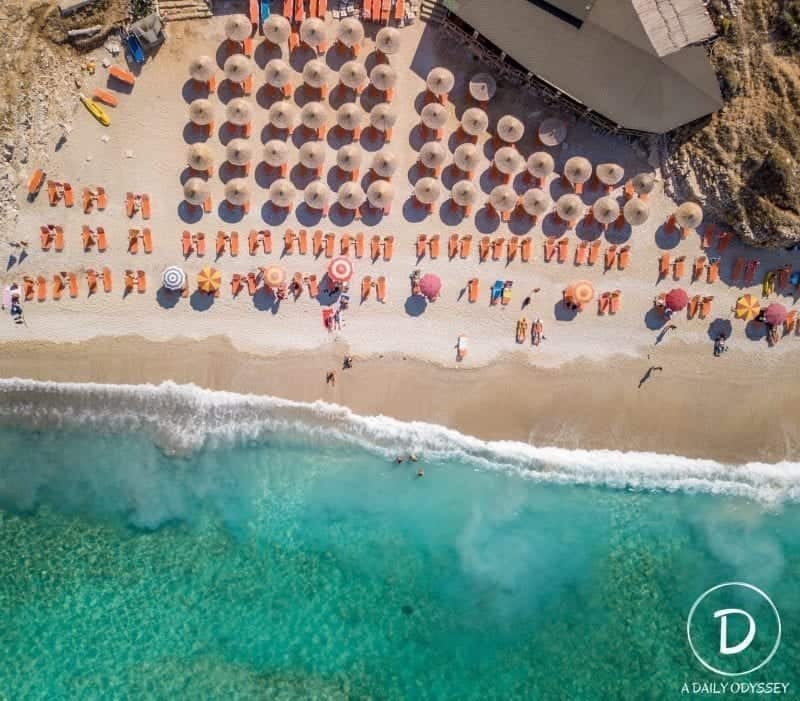 There are fewer beach chairs, a lot less partying as the clubs close, and the prices drop, even when you thought Albania was affordable enough just wait until the winter. 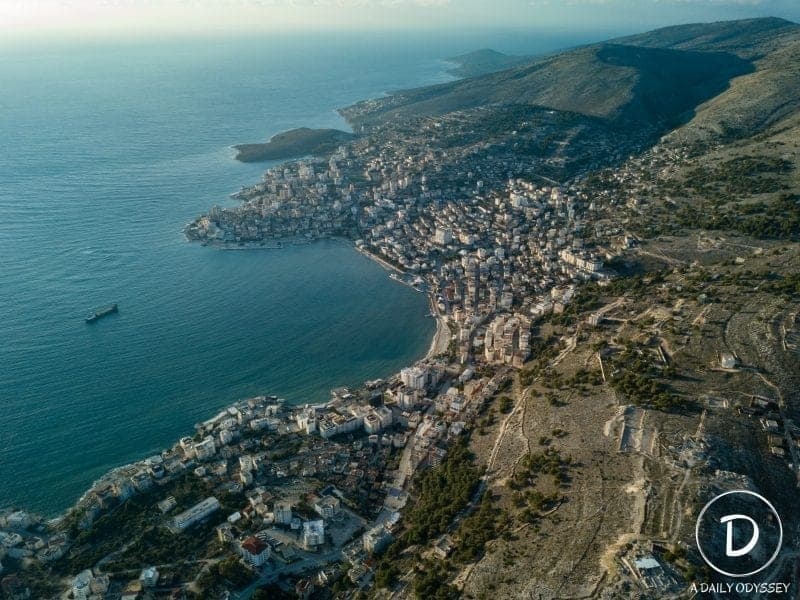 Saranda turns into a sleepy coastal city as most of the summer season workers head back to their hometowns, most move to Tirana to study or find work there and then it’s Tirana’s turn for the partying scene. So, is it Saranda or Sarandë or Sarande? It’s all three. Sarandë is the Albanian official way to spell it. Sarande is the lazy Albanian way of spelling it and Saranda is the English spelling of the city. Here is my complete guide on what to do, eat and where to stay in Saranda! Note: Some of the restaurants and accommodation options close in the winter months but I have stated if they are open or not in their descriptions. Isn’t this view enough to convince you to visit Saranda?! What to do in Saranda? Saranda is a coastal city located right in the south of Albania. It’s very close to the Greek border, in fact, a ferry to the Greek island Corfu is only a 20-minute trip! Saranda is a good start to an Albanian road trip along the Albanian Riviera. The quickest and easiest way to get to Saranda is to fly into Corfu, Greece and catch the Corfu to Saranda ferry. Depending on where you are coming from in the first place, Corfu is usually quite cheap to fly into from the likes of the UK. In the summer there are two different ferries that make the trip from Greece to Albania. One is slow and one is the fast ferry. You can find timetables and prices here. The fast ferry takes around 1 1/2 hours and the fast is just 20 minutes. Prices vary from season to season. During the summer months, and especially as the cruise ships start to port in Saranda, the boulevard is pumping with people. Take some time to wander through the boulevard day or night and enjoy the scenery. During the summer there are markets, which are a great place to get some souvenirs. Also, you may notice in the distance on the Saranda beach there is even an obstacle course (Summer only) set up if you’re up for a bit of fun. Yes, you can go on as an adult and yes, your whole body will hurt in the morning, trust me from experience. 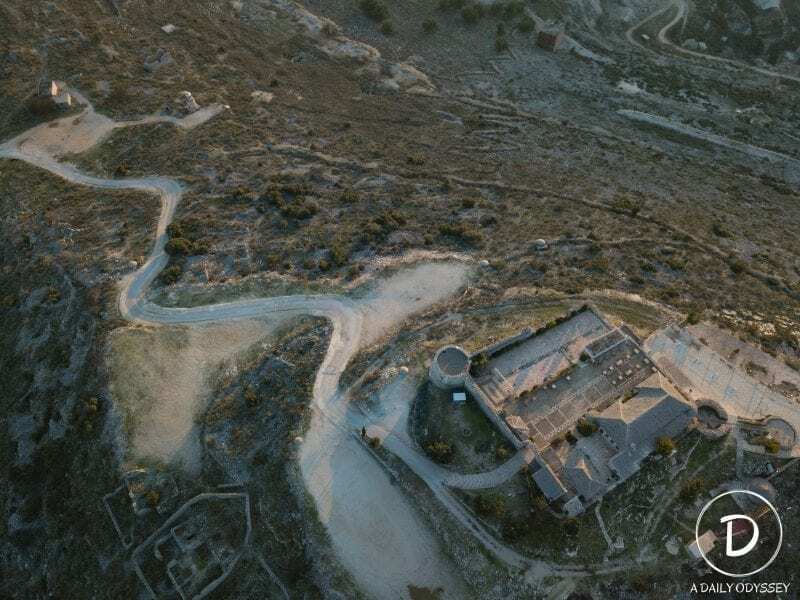 Nestled at the top of the hill and overlooking Saranda is Lëkurësi Castle. Although the castle is not that impressive as it has now been turned into a restaurant, the views overlooking Saranda and even into the farmland nearby, are stunning and well worth the trip. You can hike up which takes about 45 minutes to an hour. I took a taxi, just remember to haggle for the price as I was overcharged on the way there. A lot of travellers even hitchhike back to the city centre. Butrint is a site full of ancient ruins located not far from Ksamil. It was habited before the Greeks settled, and after that, the Romans took over. It will take 2 or 3 hours to explore and costs 700 Lek entry. You will want to visit in the morning or late afternoon as the sun can be overbearing in the summer, and you will appreciate it a lot more in the cooler weather. The bus to Butrint cost 100 Lek. It’s the same bus that stops off at Ksamil beforehand. This is my personal favourite castle near Saranda. Ali Pasha’s castle is hidden and most tourists completely miss it when visiting the nearby site of Butrint. About 1 minute before the UNESCO site of Butrint, on the same road, there is a turnoff with a carpark and a viewing deck. From the viewing deck, you can see the castle from a distance, but I recommend taking the road down to see the castle from close by! The castle dates back to the late 17th century and belonged to a man called Ali Pasha who was later beheaded. The setting is what makes it so unique. It definitely shouldn’t be missed if you’re making a trip to the nearby city of Saranda or the town of Ksamil. It’s one of the best things to do in Albania. You can read a more thorough article on the castle and how to get there exactly here. The blue eye is a natural phenomenon. Divers have tried to discover how deep the spring is but have only gone down 50 meters deep and still to this day cannot find the source or how far down the spring goes. Usually, people spend an hour or two. There is nothing else to do other than look at the spring or to go swimming if you’re brave. The water year-round is 10 degrees! Nowadays there is a little camping spot right in front of it as well as a couple of souvenir shops. There is also a few restaurants. I highly recommend having a drink at the restaurant with the platforms over the water for a beautiful view! *As of Sept 2018 most of these businesses have been destroyed due to being built illegally. I would recommend bringing any food and drinks with you to blue eye as there might not be any restaurants or shops around. 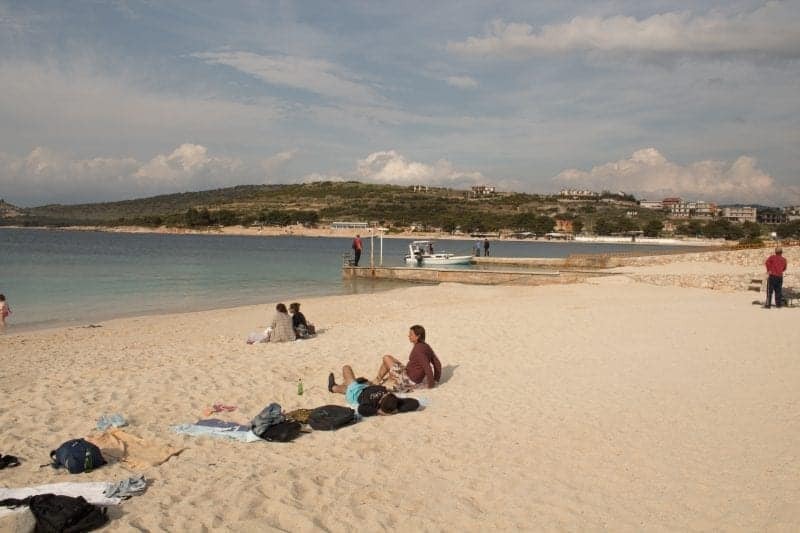 Just before Ksamil is Mirror beach. 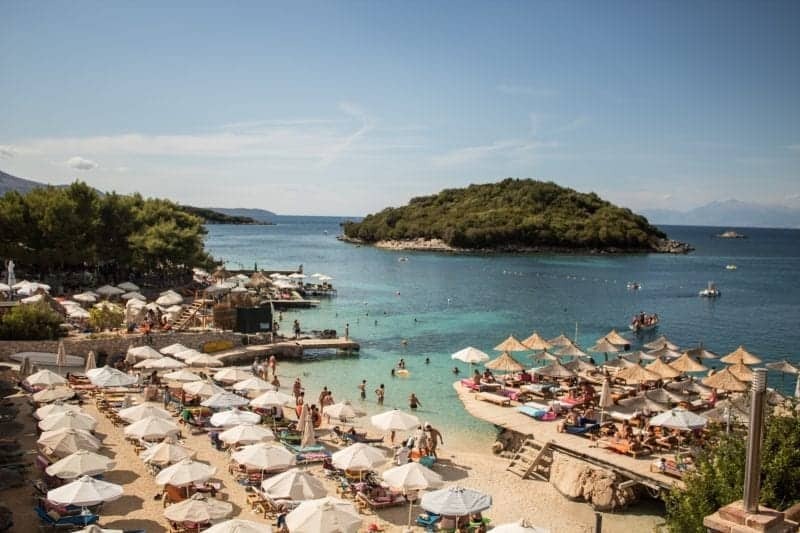 It’s a more secluded affair with just as beautiful beaches as Ksamil. The road is not the best at all. In the summer months as it gets full it can be quite a pain getting in/out because the road is mostly one-way and it’s a very bumpy dirt road. The hassle of getting there is worth it though! 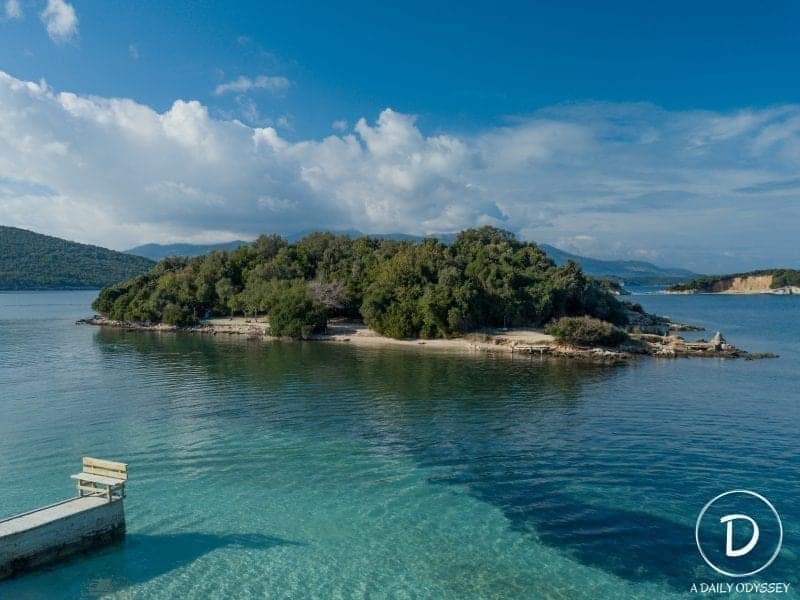 Ksamil is the most popular destination along the Albanian Riveria. It is hugely popular during the summer months; the beaches are full of beach chairs and all of the bars and restaurants are thriving. You can spend the day relaxing, eating and even swimming to the two nearby islands. As Saranda is a coastal city, seafood is prominent in just about every restaurant and damn is it good. The fish restaurants on the other side of town are where the fishing boats land. You can come down here at around 6 pm and buy fresh seafood off the boats or try it at one of the two restaurants – Fishland or Taverna Peshkatari. These are the restaurants who receive the seafood first and then it filters down to the restaurants right in the city. If you’re looking for a restaurant in the city that does good seafood try Anchor Bar (right opposite a big restaurant called Limani). Right in the centre believe it or not, are ancient ruins of a synagogue that used to be there dating back to the 5th century. In the 6th century, these buildings were converted into a basilica but later were destroyed due to an earthquake. 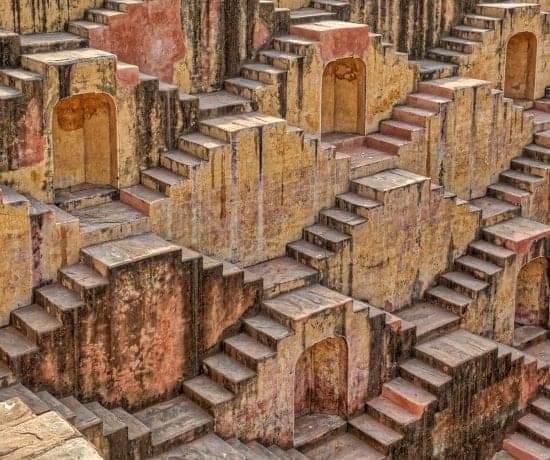 These ruins were only discovered in 1984. You can read 26 more things to do in Saranda here. I have lots of local recommendations, some that tourists have no idea about! Taverna Laberia: This is one of my favourite restaurants in Saranda. This family-run restaurant serves quality food and generous portions. My favourite is the open souvlaki and the Greek salad. The family know how to cook a fantastic meal for a very reasonable price. Open in the summer/autumn only. Limani: Located right on the water is a restaurant called Limani. They serve mouth-watering pizza – I can highly recommend the carbonara one (yes that’s carbonara on pizza! ), and the Caesar salad (600 Lek) too. 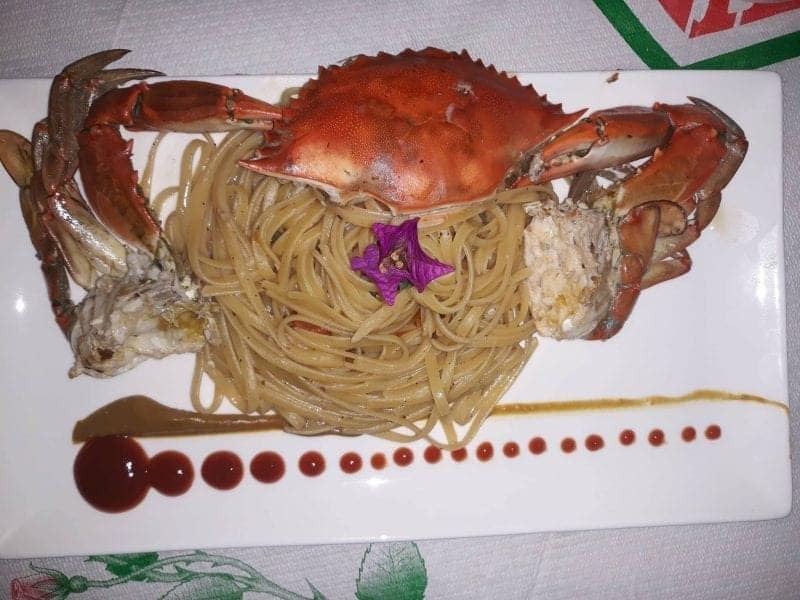 They also, of course, serve seafood and traditional meals. Their menu is huge so you will definitely find something you like here. Open all year-round. Fishland: This is one of the restaurants that are right where the fishermen come to dock, so expect super fresh seafood here! I can recommend the seafood risotto, it’s delicious. Open only in the summer. Cocktail Dreams: Located right on my front doorstep is Cocktail Dreams. This is not only a good place for a cocktail but their food is good too. I enjoy the carbonara, 4 cheese ravioli and the grilled chicken with mushroom sauce (mmmmm). Open from May-Sept.
Maria Magdalena (Summer only): If you’re a pizza lover like me then you will love Maria Magdalena. They do the best pizzas I have ever tasted. One of the reasons I really love it in Albania is they have a big Italian influence which means they absolutely nail Italian food right on the head! I can recommend the 4-cheese (700 Lek), margarita (400 Lek) and special pizza (750 Lek) although I am confident every single pizza on that menu is delicious. All day Grill: This restaurant does great souvlakis, sqepasti, pite arabe and lots more. It’s located right in the heart of the city along the boulevard. Open all year-round. Like Creperie: This little café serves great coffee, delicious crepes, and amazing sandwiches. My personal favourite is the paninis, they are seriously delicious and perfect if you’re craving a different food that’s not Albanian, Greek or Italian. Open all year-round. Kasandro: Again, great for takeaway souvlakis (180 Lek) and if you’re staying at the Hairy Lemon Hostel then this is just across the road. Summer Only. Sunset: Here they do great pizzas, perfect for a takeaway and they are open all year round. Te Beau: If you’re looking for traditional Albanian food then this is your place! Open all year-round. You can find more recommendations in detail by reading this post about my favourite places to eat in Saranda here. Mango (Summer only): This is the most popular club located just out of the city centre. 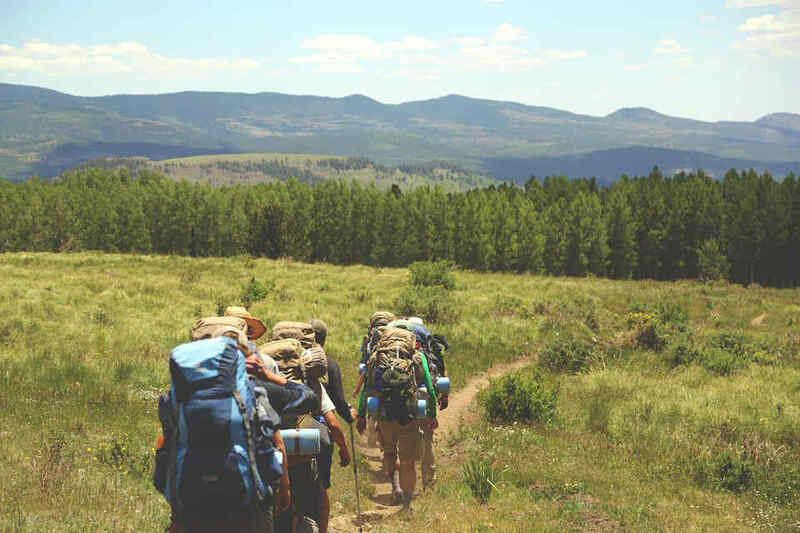 You will need to catch a taxi or hitchhike as its quite a walk, especially if you’re staying on the other side of the city. There is usually an entry fee (500 Lek) but sometimes you don’t have to pay, don’t ask why. The whole city just about forms at mango on any given night during the summer. This is closed during the winter but usually opens back up on the 1st of April to celebrate the opening of the season. Factory (Summer Only): This club is even further out of the city. It’s essentially a huge warehouse with music. Orange (Open most of the year): This is located just a walk away from the boulevard. It’s right on the beach, has good music and an easy option if you don’t want to trek all the way to mango. Jericho (summer only): Right on the boulevard is Jericho which is famous for their cocktails. It serves a great view over the avenue. Space Bar This bar is nestled looking over the boulevard. There’s a cool atmosphere, the drinks are good and it’s a great place to come to chill out for a few drinks. 21 Bar: This is a popular intimate hangout in the centre. Trendy bar with a cool ambience! Hostel: Hairy Lemon Hostel – Hands down the best place to stay if you’re a backpacker! This hostel is fun, intimate and relaxed. If you make your way to the Apollo Hotel then head up the vertical like street. It is the first building on the right. Catch the elevator to the 8th floor, turn left as you leave the elevator, and you will find the Hairy Lemon. It serves an incredible view and the beach below is only a 1-minute walk. Although it’s not right in the city it’s a good place to locate yourself because you have one of the best beaches not far and good local restaurants within a 5 or 10-minute walk such as Fishland and Laberia. With the bed, you get a free pancake breakfast and free shot of homemade Baileys (it’s the best!) on arrival. The Hairy Lemon closes on the 24th of October and opens back up in April 2018. 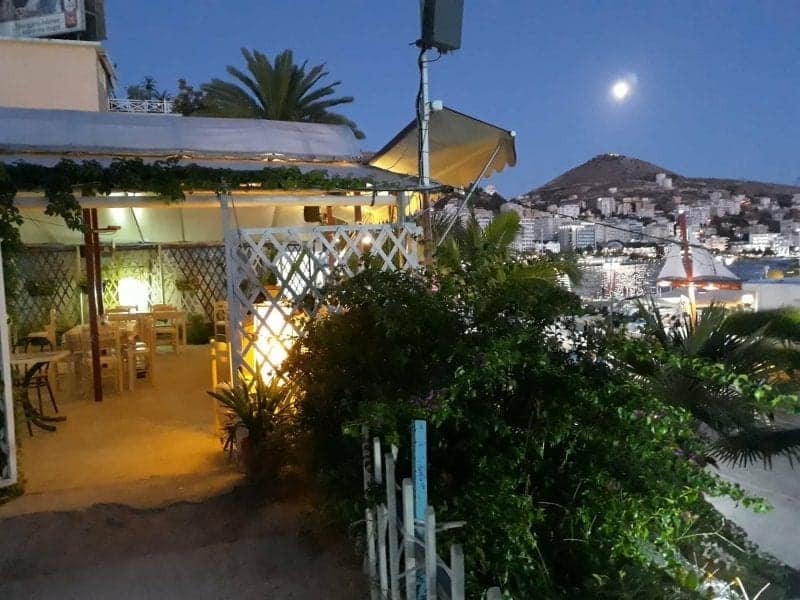 Hotel: Dream Hotel – A small intimate hotel located right on the beach, about a 15-minute walk from the heart of the city. If you’re looking for pure relaxation then choose this hotel. Not only do you have the beach on your doorstep but also the cocktail bar and restaurant! Closes in winter. Luxury Hotel: Santa Quaranta Premium Resort – Located right on the beachfront this beautiful hotel is the perfect pick if you’re looking for some luxury. It’s where the rich and famous stay when they come to Saranda! Airbnb – There are plenty of Airbnb properties available just make sure you book early during the busiest months (July and August). If you sign up using this link then you will get $35 free credit! (note the times and frequency vary from winter to summer. These are the summer times unless otherwise stated.) I have to stress that these times change regularly. It’s best to go to the bus station the day before and ask for exact times. It is extremely popular and normal to hitchhike from city to city. I used to always hitchhike to the clubs and have never had a problem or felt unsafe. Albanians are very trustworthy and they are usually happy to help you to get somewhere. Although a lot of the businesses shut up shop for the winter all the restaurants right in the city will still be open. As you can imagine the city is comparably quiet when the tourist season is over. But that shouldn’t stop you from coming here at that time. The prices drop even further, the beaches are empty and it never gets colder than 8 degrees. 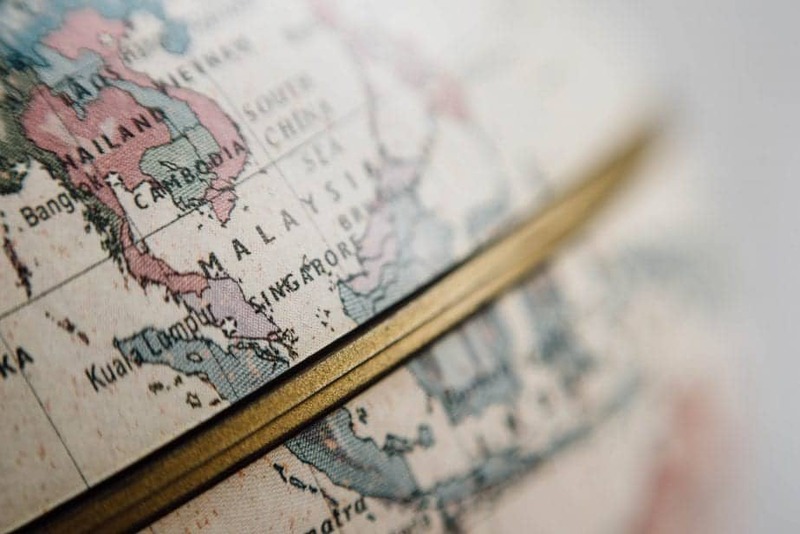 There is plenty of sunshine so it’s the perfect place to escape a wet and cold winter if you’re from the UK or other northern European countries. Saranda typically has 320 days of sunshine a year. Everything is half price – food, beer and hotels! 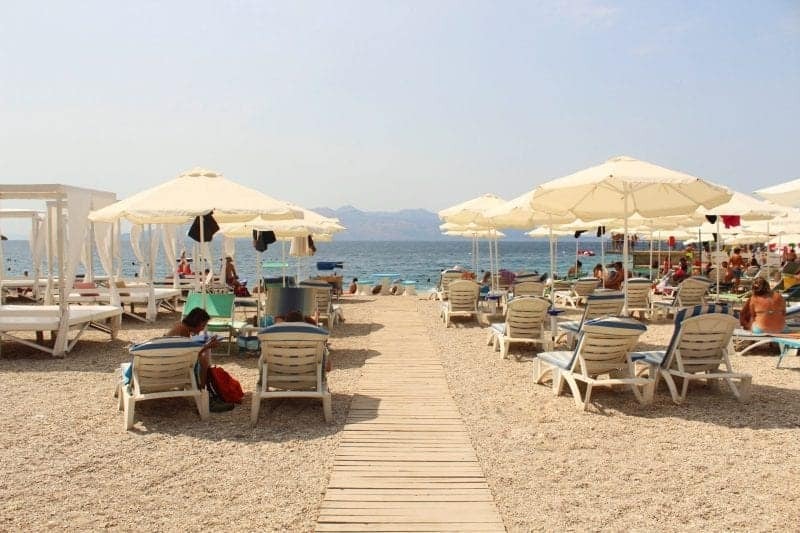 If you’re looking for a more relaxing holiday then maybe Saranda might be for you. 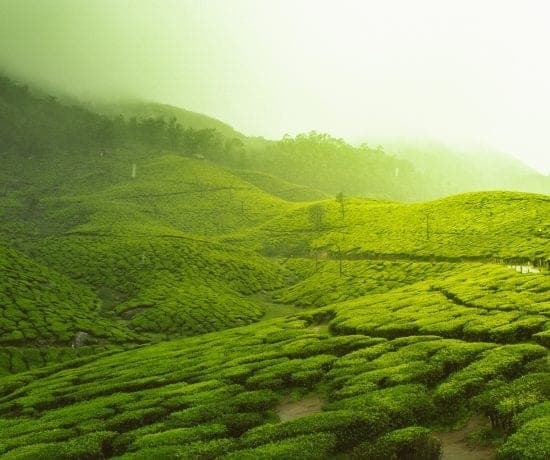 You can experience the country with little to no tourists. That’s it! 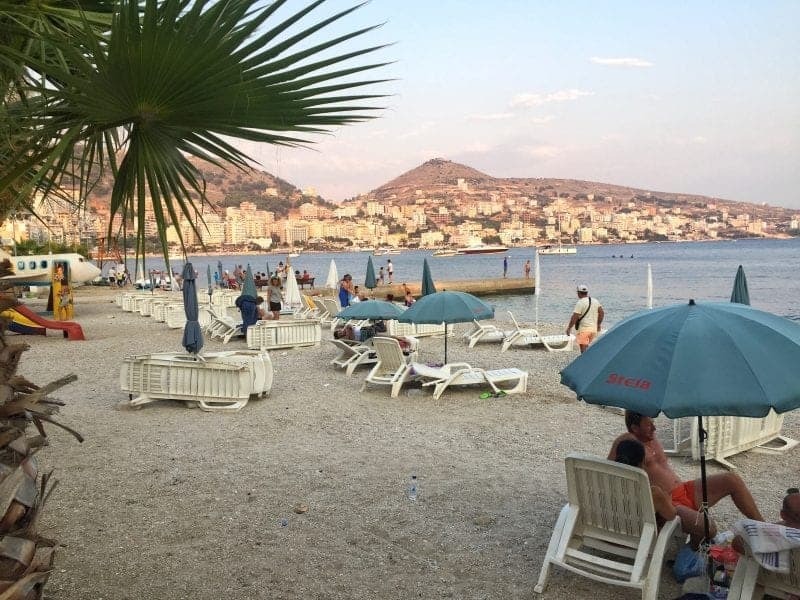 There’s your HUGE guide and things to do in Saranda with hopefully all the information you will need to enjoy a holiday here. Don’t be afraid to ask questions below if there’s something else you would like to know. I am currently living in Saranda so ask away! 10 degree water? Yikes. But I’d give it a shot as I take an icy cold shower every morning. I’d visit during the winter, when the number drops back to 30,000 people as opposed to 300 K. Or maybe less, it the place gets super sleepy. It is always more fun to visit during off season unless the place dies down so much because the monsoons are ridiculous, or something of that nature. In most cases though, the weather is fine, but folks like doing the sheeple bit. Thanks for the rocking share Anita. Thanks for reading 🙂 Saranda is the winter certainly is quiet but definitely worth it! I must admit that I don’t know too much about Albania. It looks amazing! Thanks for reading Kasia. Albania is unbelievably beautiful! This is the first time I am hearing about Saranda. However, this place seems so picturesque and worth visiting! Would you consider it a good summer destination, Anita? I have a thing for the smaller countries and Albania has been on my watch list for a long time. your pictures are wonderful. Love the contrasting beige and turquoise. lovely! Yeah, it certainly still has a lot of issues to fix but slowly and surely its getting better. Hi Antia, I never heard of Saranda before but the way you describe it seems to be a fantastic destination. I like it when you have a mix of fun and relaxation, day trip destinations, nature, and great food. That blue hole looks just magical. You said that there are many visitors in summer. What nationality are they? Thanks for sharing this comprehensive guide with us! I hope you get to visit Saranda one day! The tourists here are mostly Italian and Greek. Albania has been on my travel bucket list for a long time. 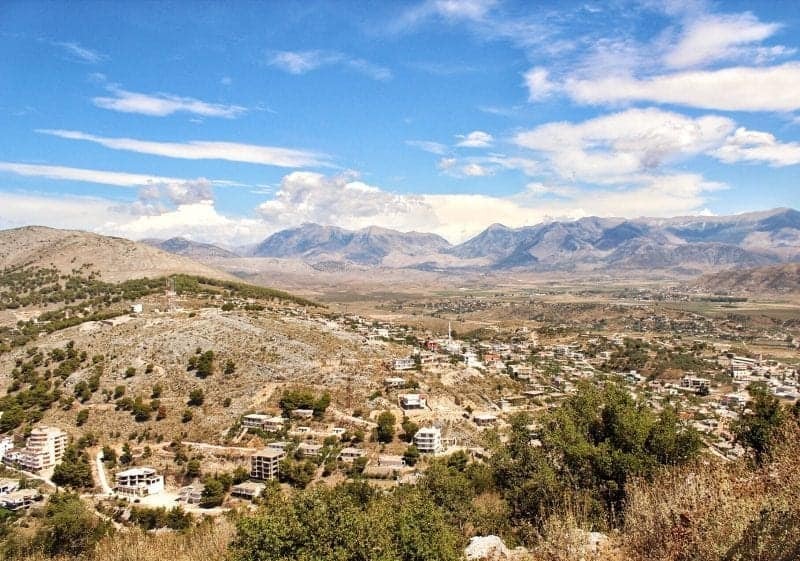 My husband has been to Tirana but Saranda looks like the place to be for a family holiday. Lëkurësi Castle and Butrint look like interesting excursions when taking time off from the beach. Thanks for the super detailed guide to help with planning. Albania looks like a fantastic spot for a vacation. The springs sound really cool and mystical since to this day they cannot find the source or how far down the spring goes. Would definitely take a swim there! I think I would also visit Sandra since I love seafood. Nothings better then eating seafood that was caught on the same day. What a beautiful city! I had never heard of Saranda. The beaches and water look perfect and the boulevard super inviting. I love that there are also ruins and history to explore in the area. Also the picture of the straw umbrellas by the water is perfection. Thanks for sharing this comprehensive guide to add to my future travels. Holy wow, they see quite the surge in tourism in summer months! I can see why tourists love it here though – it sounds like paradise! 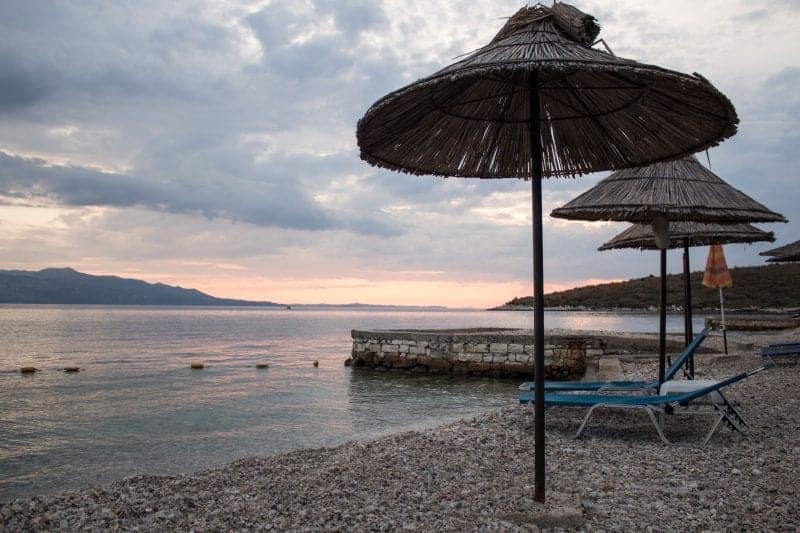 Sounds like September would be the best time to visit for me – I’m not super fond of mass tourism, and would prefer to visit Saranda when turns into a sleepy coastal city – I feel as though you get a more authentic vibe that way. Thanks for the list of attractions, hotels and restaurants – I would love to take in the castle, and the ruins, and the blue eye looks so beautiful – though I’m not sure if I’m courageous enough to swim in 10 degree water! I think I’ll reserve my swimming for the beach! I am planning to visit Saranda in the first half of Septembe this year. We will be coming from Korfu. Could you advise about the most economical ferry from Korfu to Saranda? Hi there, Yes there is only one ferry company that serves from Corfu to Saranda and vice versa. It usually takes around 20 minutes. In the busy season you need to buy tickets beforehand but by September it should be quieter so you can buy them at the port. Hope that helps! Barb, we have just returned from a vacation in Saranda. We flew to Corfu then took the ferry to Saranda. We found that two different kinds of ferry rides are being offered: There is a fast boat that feels more like an aeroplane once you have boarded – no open decks, just rows of seats in a closed cabin much like on a plane, just without seatbelts. This boat makes the trip in 35 minutes. Then there is the other type of ferry that can also load vehicles. It has open decks and travels at a slower speed. It takes about 60 or 70 minutes for the trip, and the tickets are somewhat cheaper. We took the slow boat on the way to Saranda and the fast boat for the return trip to Corfu. The fast boats are often sold out in advance during the high season. Hi Anita. I’m planning a trip in Oct. it should be nice and quiet then. Did you say you live in Saranda? 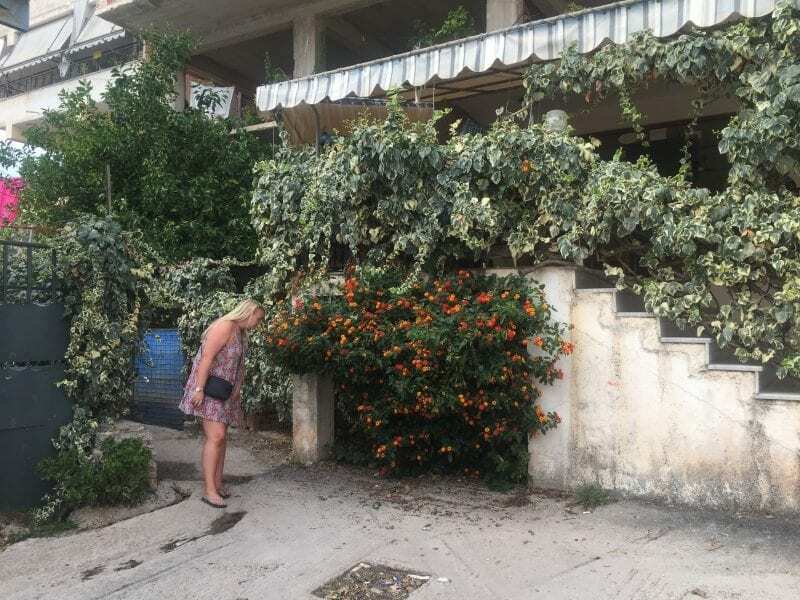 I live in UK and would like some thoughts about living in Saranda full time. Thanks for an wonderful introduction to Albania. Loved it! Great article! I’m in Saranda now and looking to stay a while. Do you have any other info on renting apartments long term (month by month). looking for somewhere not on booking.com or similar sites. Hey Owen, firstly welcome to Saranda! Unfortunately finding a long-term rental at this time is very difficult as July and August are the busiest months and people tend to rent out apartments for short periods because they can earn double that way. Which means that you will be paying double, sometimes triple for an apartment. I would recommend to not look online as they are always more expensive and will only rent out per day and not per month. The way I have found my last two rentals is by talking to locals and then asking if they know of anyone renting an apartment. It’s all about making those connections! Thank you, I had a good walk yesterday and found something suitable, as you said its all about talking to locals! Thanks again for a great read, I’m really enjoying Saranda so far! thanks for all the info! A friend and I are planning on traveling through Montenegro on to Albania via bus (probably staying in Tirana and Himare/Sarande), and then getting a bus to Athens to fly home from Sarande or Gjirokaster. Do you know how reliable these bus services are in high season? We’re wondering whether to factor in a night in athens or whether it’d be okay to get an overnight bus and arrive in the morning in Athens ready for an afternoon flight. Thanks again for all the Albania info – we’re super excited to come! Does every beach in Sarande charge for sunbeds? Are there any restaurants that if you buy something, they are free? Lots of great info. Thanks! A friend and I are coming to Tirana and Sarande in September with an eye to moving there possibly this coming spring. Would love to take you out for a drink or dinner to pump you for more information. ein sehr toller Beitrag der mir geholfen hat…Danke !!! Ich bin über Airbn von Nov. bis Februar in Saranda (Neben Hotel Seaside). Ich habe mich davor nicht sonderlich f. dieses Land interessiert aber seit ich recherchiert habe bin ich begeistert. Da ich alleine unterwegs bin und auf einer Krücke gehe, möchte ich natürlich meine Anreise genau planen. Ich fliege über Korfu und dann mit der Fähre nach Sarande. Kannst du mir bitte sagen wie das mit dem Anmelden ist oder macht das der Unterkunftgeber ? Mich würde das “Blaue Auge” sehr interessieren. Kann man dorthin auch mit dem Taxi fahren ? Wie verständige ich mich am Besten ? Nochmals danke für deinen schönen Beitrag und vllt. Antwort. You have possibly the single most useful guides to Albania that I have been able to find. They are incredibly helpful little mini-guides. They are also quite well-written and your photos are nicely illustrative. Keep up the good work! I’m enjoying your posts. Looking to move to Albania next year to retire. Single woman, 63 years old. Information in the internet is limited. I’d love to chat with you sometime! 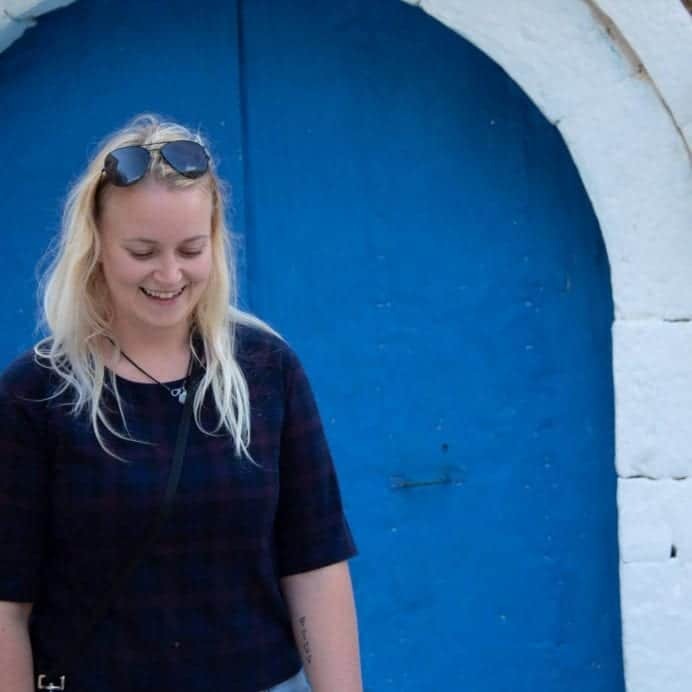 Hello, we are two girls traveling to Sarande in the end of june (out of season according to det ferry homepage) Should we book in advance or is it fine to just buy the ferry tickets when we get there? Thank you for the great travel advice. I am travelling from England to Albania this summer and very excited. My boyfriend is Black British and I know he is a bit concerned about that he will suffer from racism in Albania or any of the other countries in Yugoslavia. I would be very grateful if you could give me some advice/information please. Many thanks in advance. We are spending about 3 weeks in Albania in June, then catching a morning ferry across to Corfu for flights. What area would you recommend staying the night prior to catching the ferry (so we can arrive early) and is the ferry/port within walking distance from the accommodation area? There’s a lot of things to do in Saranda so I would recommend at least a few days, a week is more relaxing! There’s a are buses to the likes of Butrint, Ksamil and Gjirokaster. The Gjirokaster bus can stop at the entrance of blue eye but then you have to walk a few km to blue eye. You can easily get a taxi to take you there and back for cheap. With the castle, you can either walk or catch a taxi up, it’s about a 45-1 hour walk. I have just arrived in Sarandë today for the first time. I have been to quite a few places in Albania but never to the south west Riviera stretch part, but now here I am. I am staying in a private apartment with a great balcony, 15-20 minutes walk from the centre for just short of £10 a night, absolutely stunned at the accommodation prices here, and the price to quality ratio is amazing. Sounds lovely. I hope you enjoy your time in Albania!